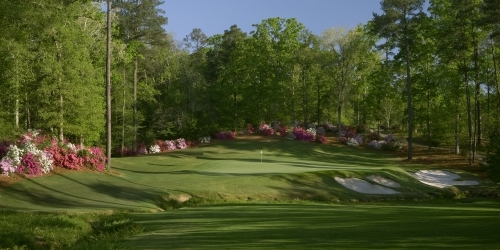 Two of the United States most acclaimed courses are at Dancing Rabbit Golf Club. Both courses are works of art featuring Bent grass greens & Bermuda fairways on the Azaleas golf course and Champion Bermuda grass greens & Zoysia fairways on the Oaks course. 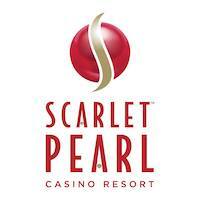 Experience these two courses and everything Pearl River Resort has to offer with one of these great golf packages. Casino and Clubhouse "Stay & Play" package includes a one room night stay, next day 18 holes of golf, range balls, shared cart, golf bag storage and hot breakfast before your round at the Dancing Rabbit Clubhouse restaurant. Casino Hotel packages stay at the Silver Star or Golden Moon hotels and the clubhouse package rooms are at the Dancing Rabbit Golf Club clubhouse. Includes one hotel room, one 18 hole round of golf, $10 food credit, range balls before play and shared cart. includes one shared hotel room, one round of golf for 2 players, $10 food credit per golfer, range balls and cart. 8 King Suites on Second Floor of clubhouse has veranda access, whirlpool bath and private cart for resort access. Clubhouse Double package for couples only (1 King bed). 140 rooms located in the parking lot of the golf course. Free shuttle to resort, waterpark and clubhouse. All Inn rooms are non-smoking. Breakfast available at clubhouse. Newly renovated cabin located off Willis Road on Azaleas #3. Three bedroom, two bath house comfortably sleeps 4 golfer or 2 couples. House features full kitchen, washer/dryer and comes with 2 private golf carts for golf and resort access. Limited availability - no food credit with Fairway House. 500 rooms located across Highway 16, only 1/8 mile from the clubhouse. Beautiful 26-story spiral hotel with full gaming, restaurants and retail. 500 rooms located next to the Dancing Rabbit Golf Club only a drive & a 5 iron shot away! Sprawling hotel with full gaming, restaurants, buffet, Spa and retail. Dancing Rabbit Golf Club - Oaks reserves the right to change price and offer at anytime. Prices and offer are subject to change without notice. GolfMississippi.com is not responsible for errors posted in this golf package.